Over time, your purchase can become a treasured family heirloom if it is cared for properly. To extend the life and maintain the pristine appearance of your product, professional cleanings are highly recommended as often as once a year. We encourage you to bring your Riginov product back to us for professional servicing. Our staff is knowledgeable and experienced in all aspects of gemstones, jewelry and timepieces care and cleaning. These services are part of our Riginov lifetime warranty and are complementary to all our customers. 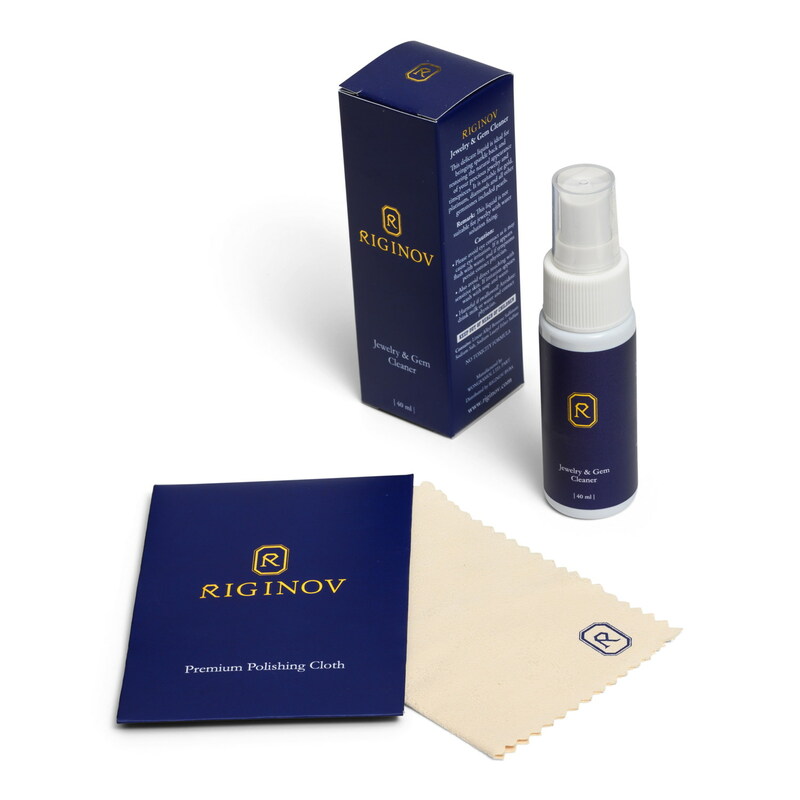 We also provide all our customers with the Riginov Jewelry & Gem Cleaner Kit for regular use at home to obtain a daily sparkle. At the time of purchase, all Riginov products are wrapped in a protective box. Between wearings, we recommend that you place it back in its original case or another suitable box or pouch. For additional information, please read our Education & Guidance / Product Care section for tips and recommendations which can assist you between professional servicing, or contact our Customer Service at info@riginov.com.